Part of the best-selling What's Where on Earth series, this atlas is packed with maps of early Earth and more than 40 profiles of dinosaurs and other prehistoric animals. Stare down a T Rex in North America. Watch out for Velociraptors' slashing claws in the Gobi Desert. Trek across the Siberian tundra and discover a woolly mammoth. This stunning book makes every animal come to life using breathtaking computer-generated imagery. 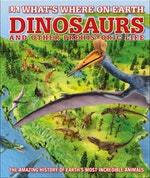 Using specially-commissioned maps, this dinosaur atlas shows you what the world looked like millions of years ago. A modern 3D globe next to each map helps you understand the arrangement of the continents over time and why we find fossils where we do. You can see what palaeontologists have dug up over the centuries in each continent and learn how they put together a picture of the past from a puzzle of ancient clues. 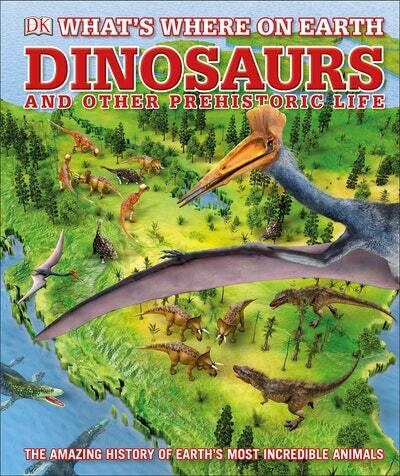 Love What's Where on Earth Dinosaurs and Other Prehistoric Life? Subscribe to Read More to find out about similar books.